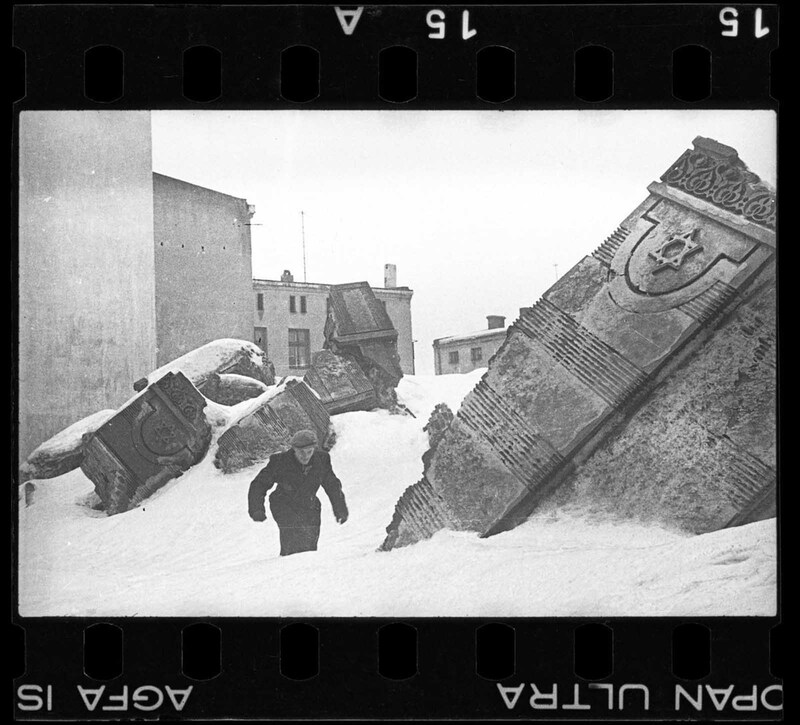 A man walking in winter in the ruins of the synagogue on Wolborska street (destroyed by Germans in 1939). 1940. 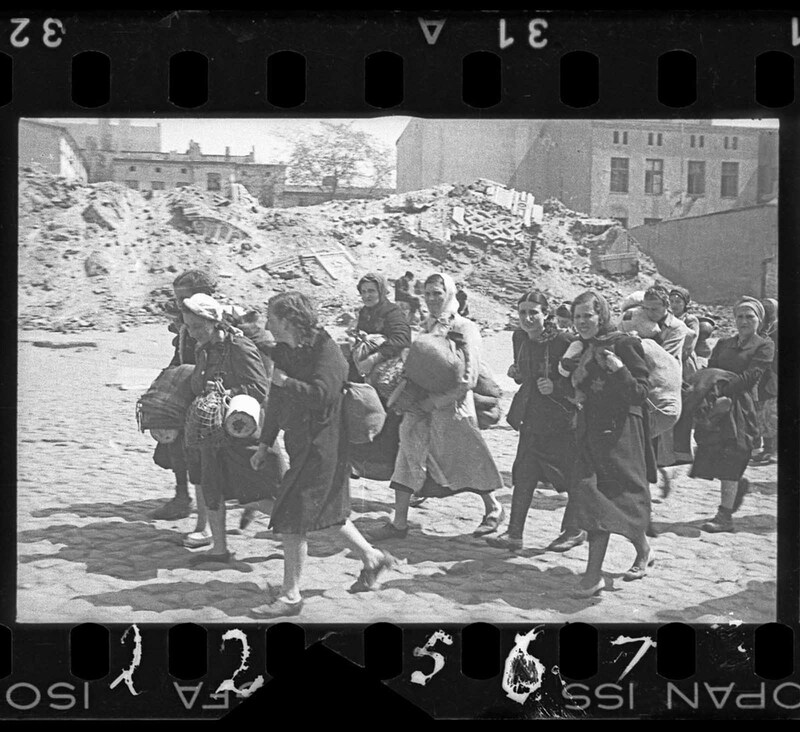 The Lodz ghetto became the second largest ghetto created by the Nazis after their invasion of Poland – the largest was the Warsaw Ghetto. 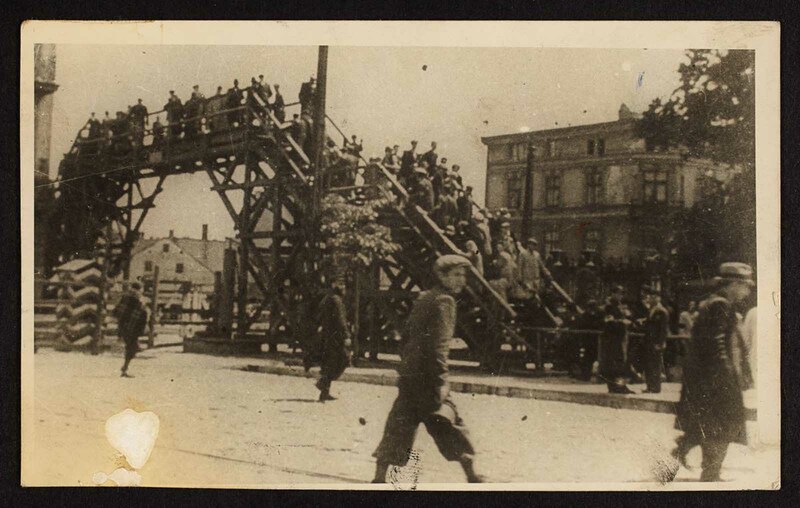 The ghetto was only originally intended to a be a temporary feature in Lodz but the sheer number of people involved meant that it became a permanent feature of Lodz until August 1944 when those who remained were transported to Auschwitz/Birkenau. 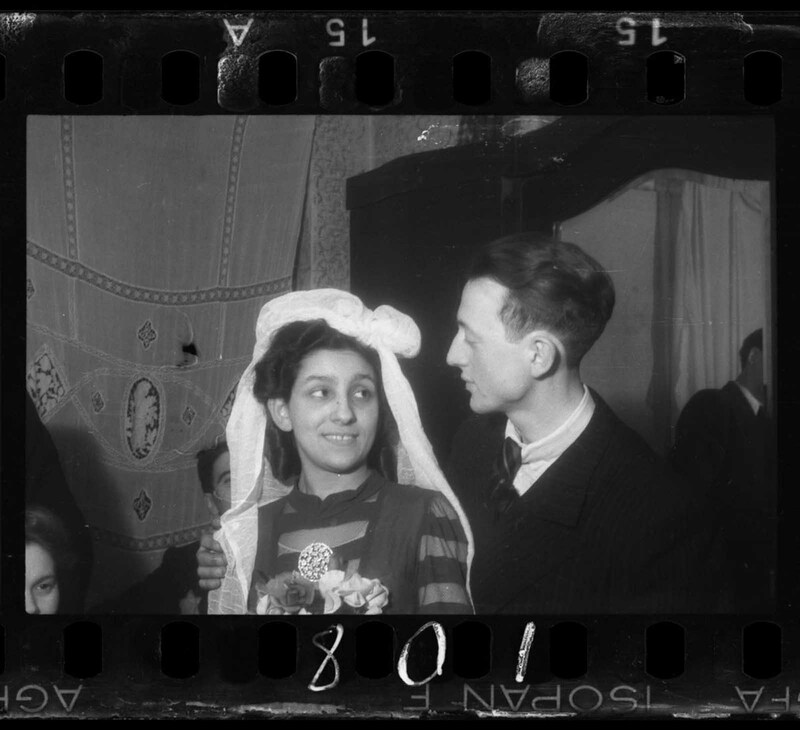 Some 164,000 Jews were interned there, to whom were added tens of thousands of Jews from the district, other Jews from the Reich, and also Sinti and Roma. 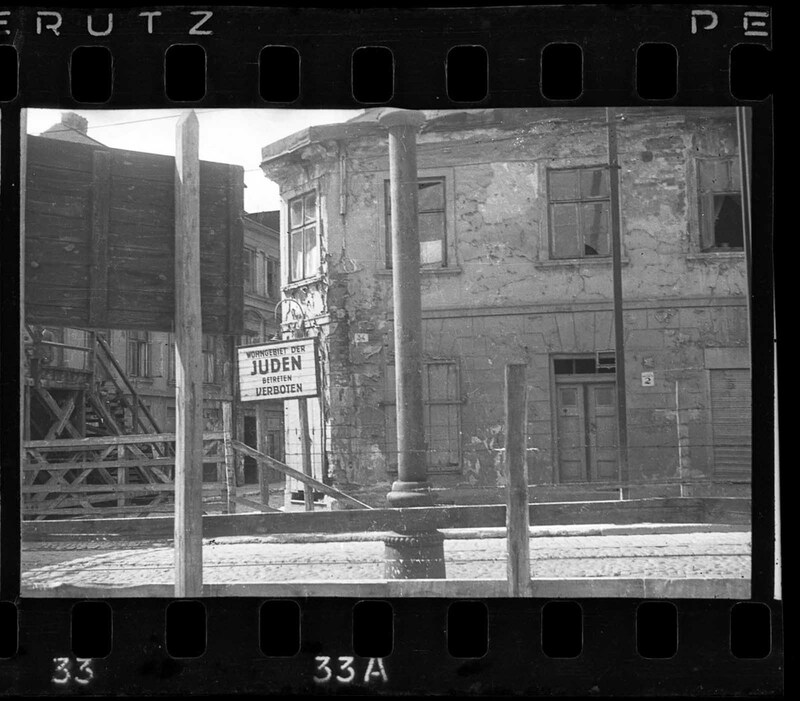 The ghetto, although intended to be a temporary transit facility, lasted for more than four years after the interests of local Nazis led to a decision to exploit the Jewish labor force. 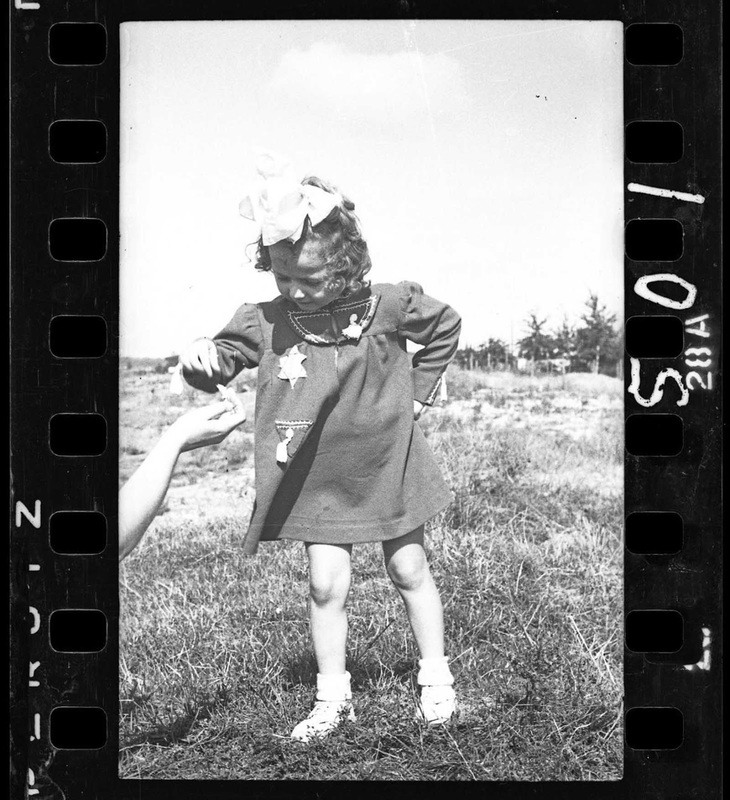 In the spring of 1940, the Lodz ghetto was sealed from the rest of the world by a wooden fence surrounded by additional barbed-wire fences. 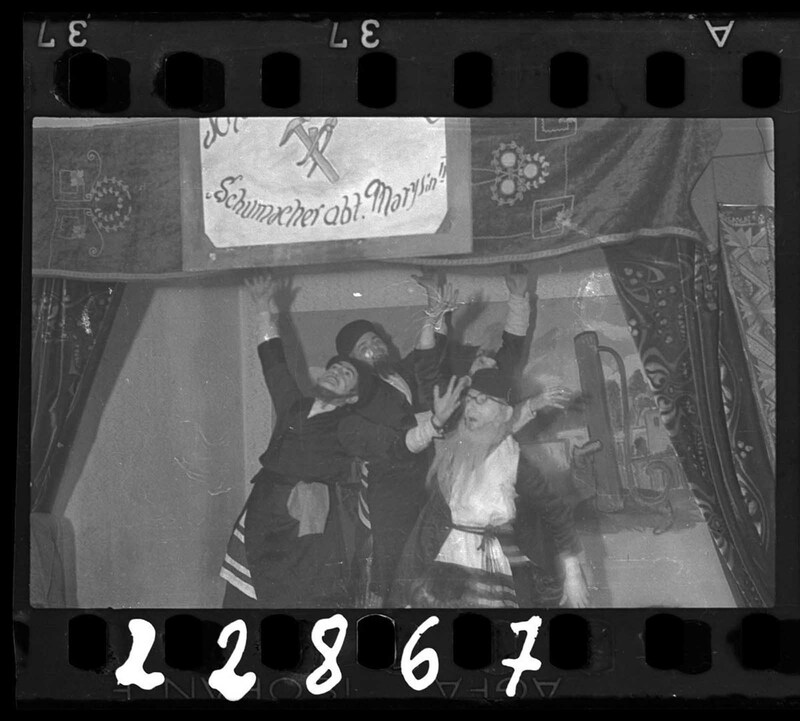 The Jews were packed into the ghetto with no electricity or water. Disease and starvation rapidly diminished their numbers. 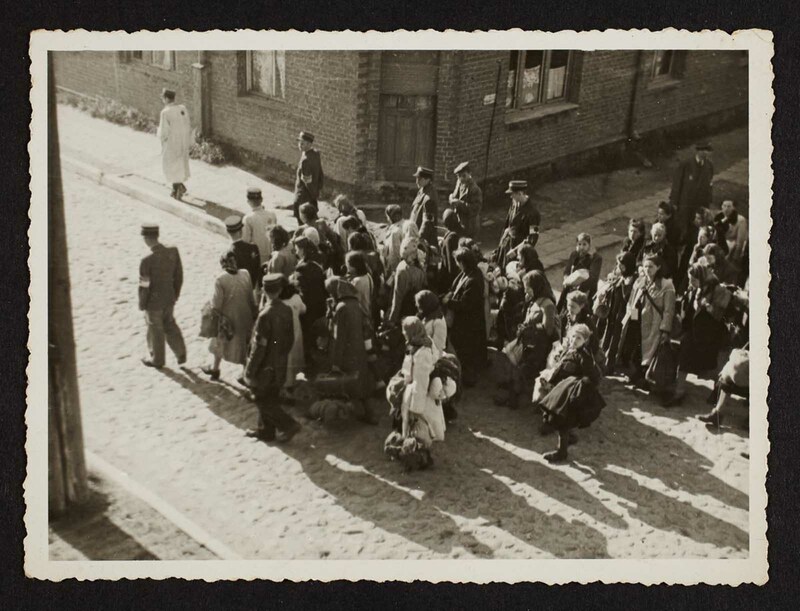 Any contact with others outside the ghetto in Lodz was strictly forbidden. 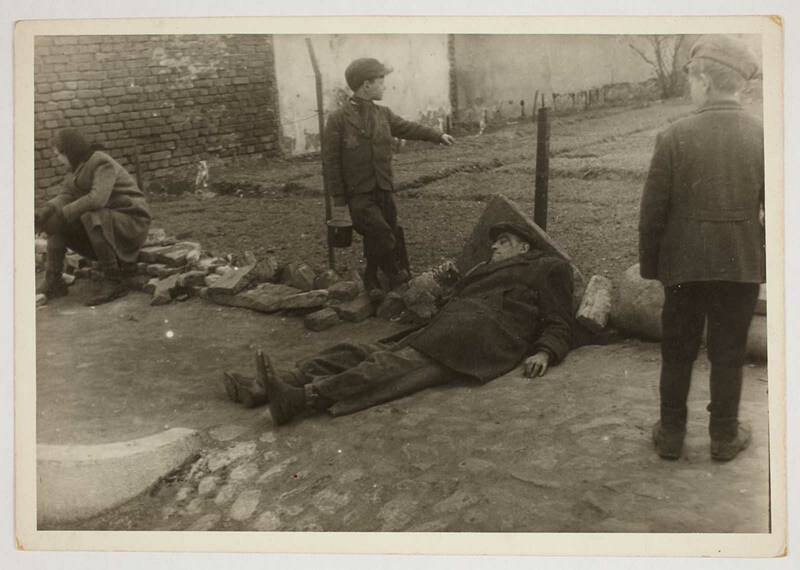 A law was passed that any Jew caught outside of the ghetto could be shot on sight. 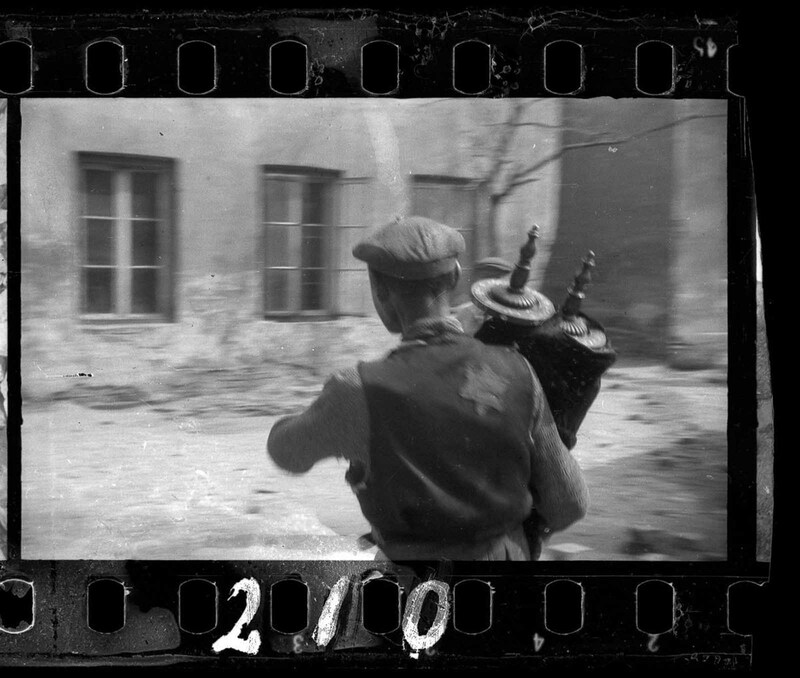 To ensure that the Nazis had no excuse for further punitive action against the Jews in the ghetto, the ghetto population created a police force to stop any escape across or under the wire. Any commercial transactions carried out between those outside the ghetto walls and the Jews in it were also strictly forbidden; again, on pain of death. 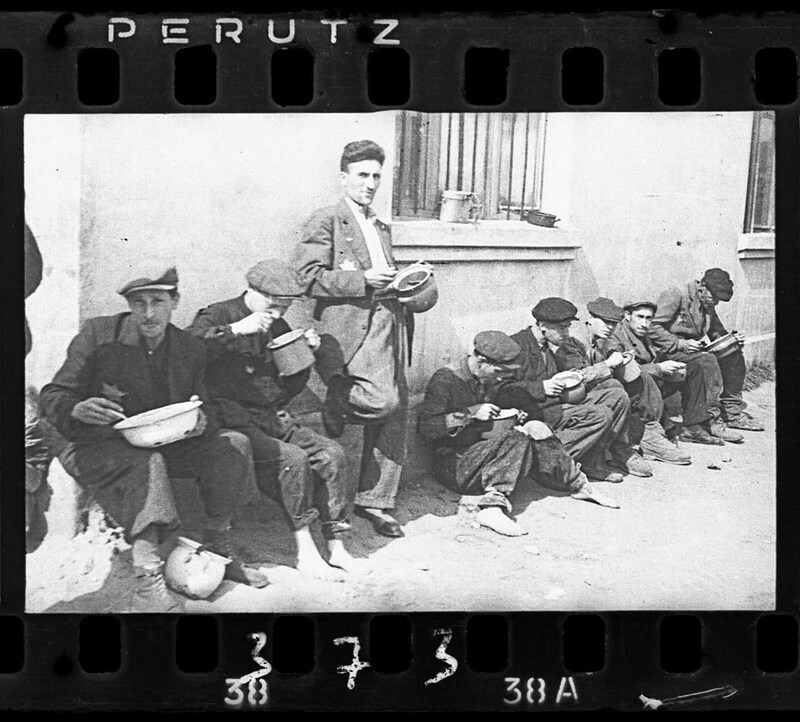 The Warsaw Ghetto developed a reasonably sophisticated system of smuggling to bring in food and medical supplies from the outside. 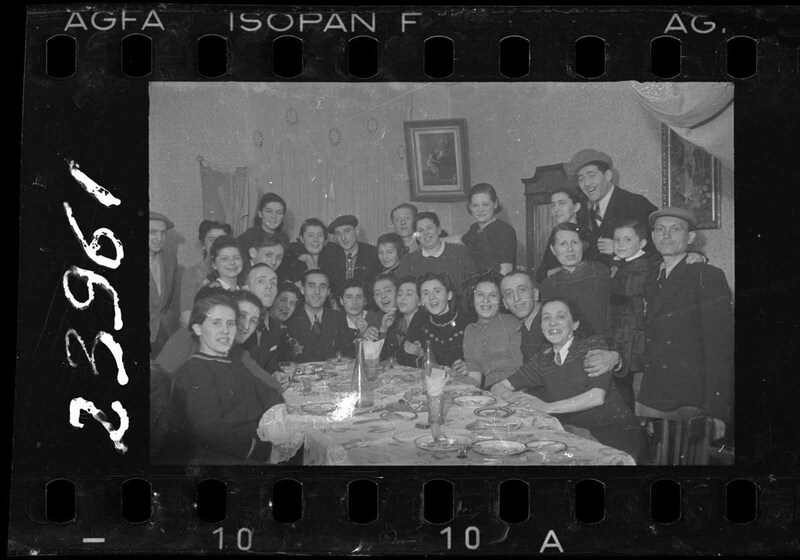 These pictures shown on this article are taken by Henryk Ross who worked as a news and sports photographer in the city of Lodz. 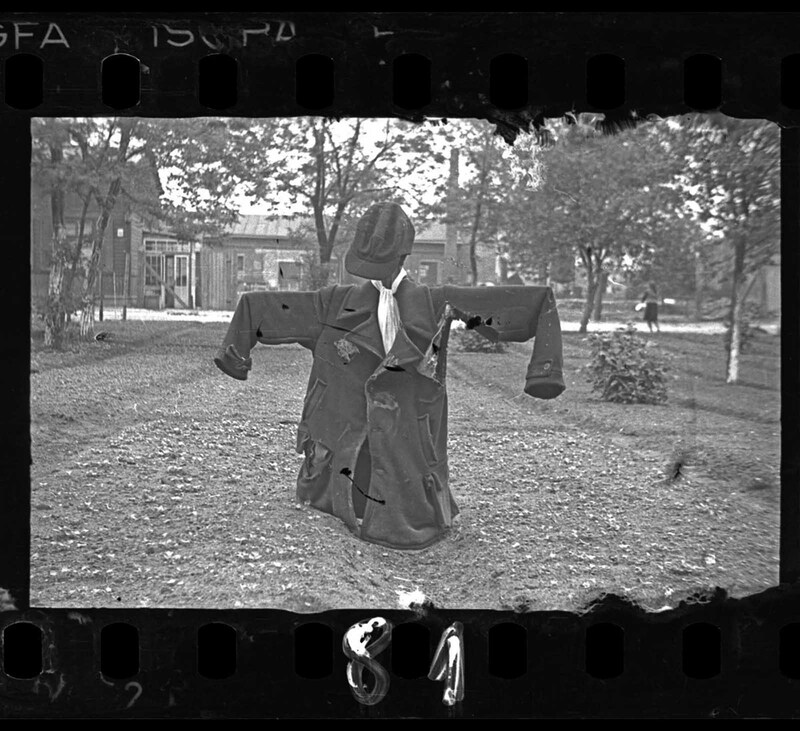 Once in the city’s ghetto, he was employed by the Department of Statistics to shoot identification photos and propaganda images of the factories which used Jewish slave labor to produce supplies for the German Army. 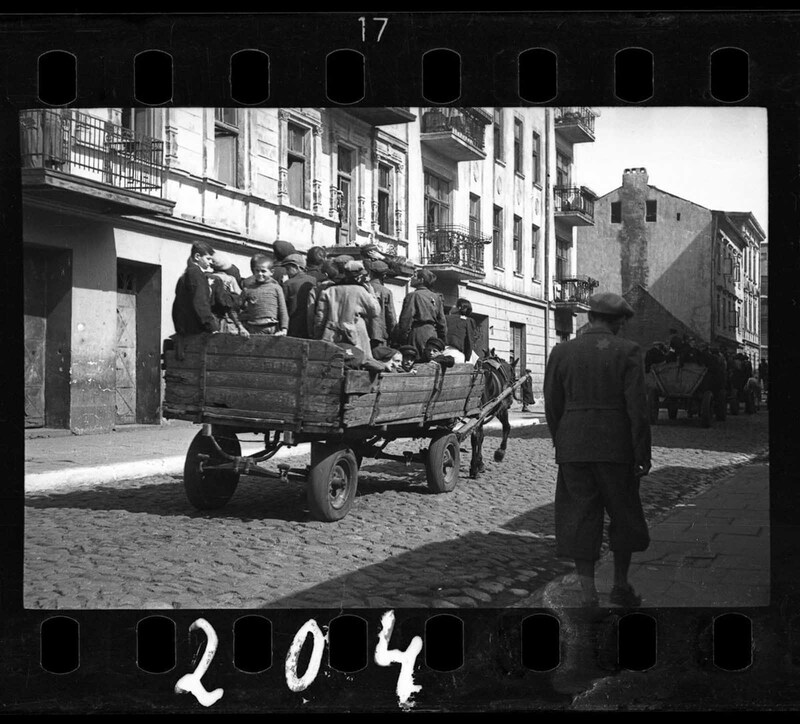 When not on the job, he documented the horrific realities of the ghetto, at tremendous personal risk. 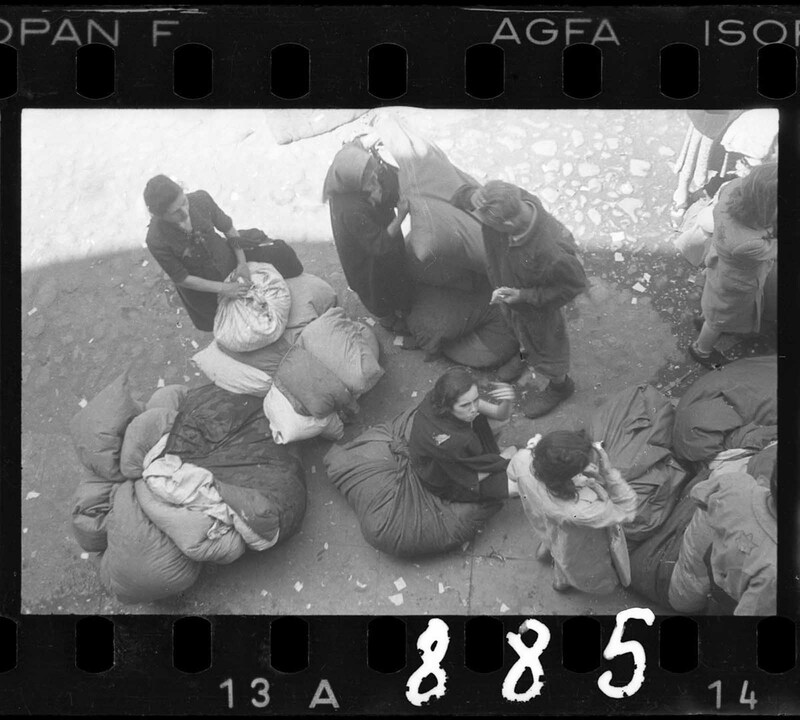 Peeking his lens through holes in walls, cracked doorways, and the folds of his overcoat, he captured scenes of starvation, disease, and executions. 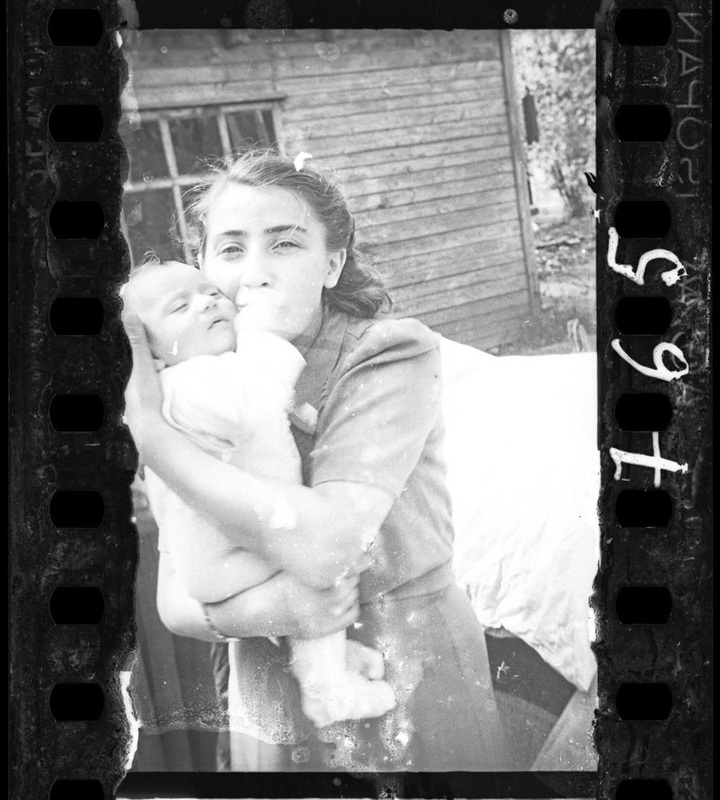 As the ghetto was being liquidated in the fall of 1944, Ross buried his photos and negatives in a box, hoping they might survive as a historical record. 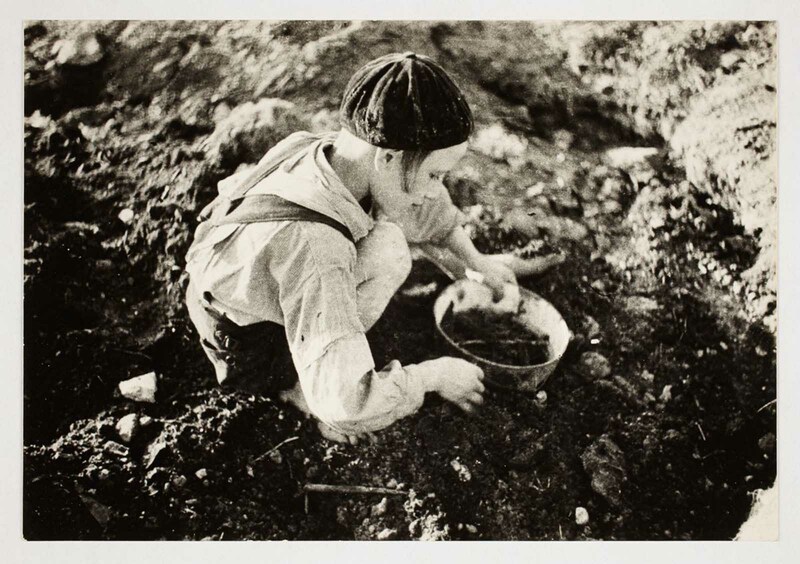 He was able to dig up the box in January 1945, after the Red Army liberated Poland. 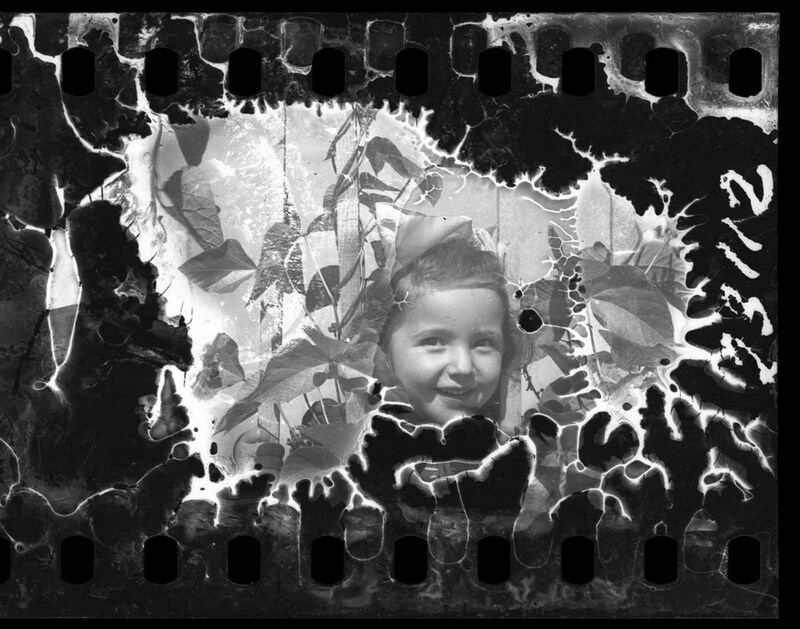 Much of his material was damaged or destroyed by water; still, about half of his 6,000 images survived. Sign for Jewish residential area (“Jews. Entry Forbidden”). A boy walking in front of the bridge crossing Zigerska (the “Aryan”) street. 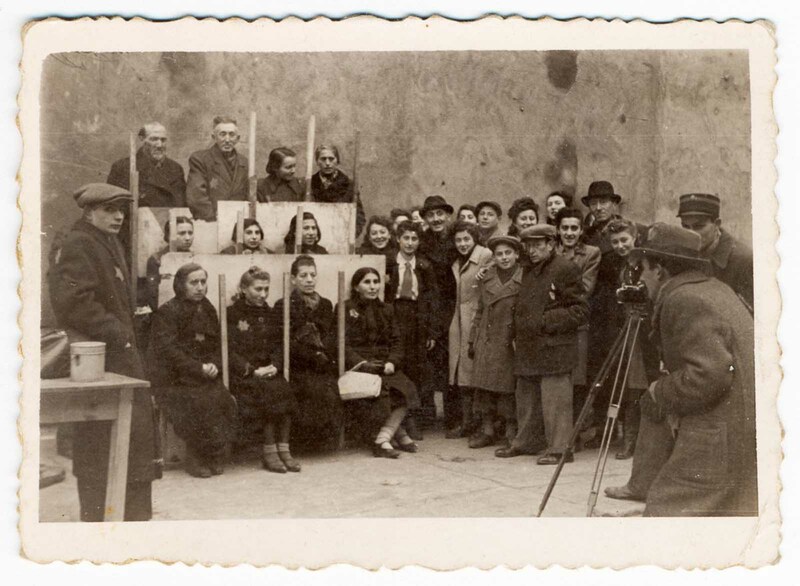 Henryk Ross photographing for identification cards, Jewish Administration, Department of Statistics. 1940. A man who saved the Torah from the rubble of the synagogue on Wolborska Street. 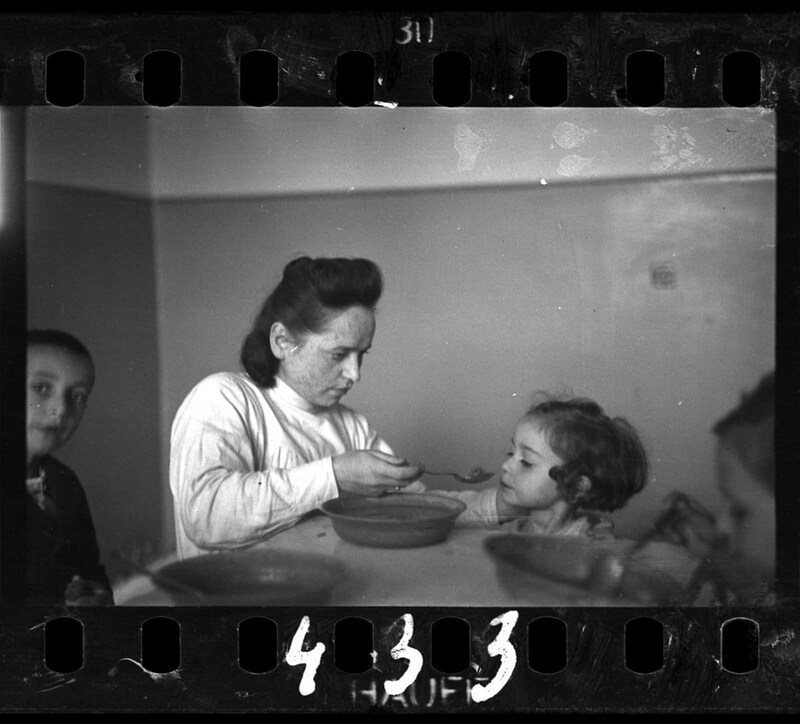 A nurse feeding children in an orphanage. A performance of ‘Shoemaker of Marysin’ in the factory. Woman with her child (Ghetto policemen’s family). A wedding in the ghetto. 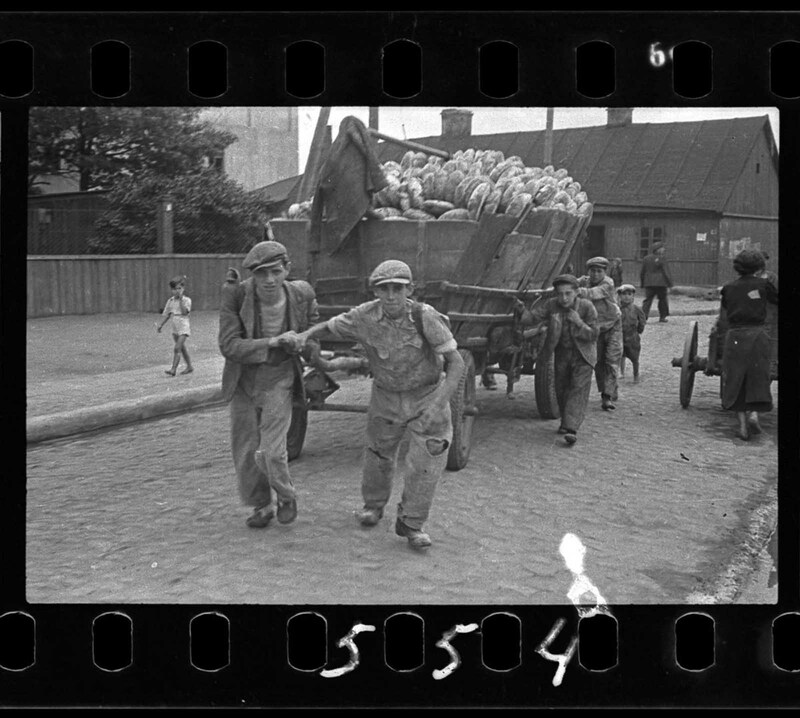 Children being transported to Chelmno nad Nerem (renamed Kulmhof) death camp. 1942. Men hauling cart for bread distribution. 1942. 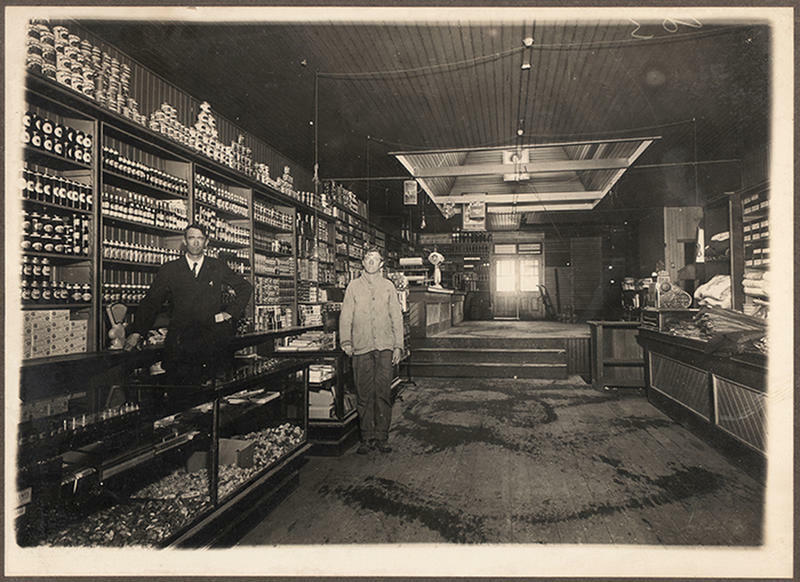 “Soup for lunch” (Group of men alongside building eating from pails). A sick man on the ground. A scarecrow with a yellow Star of David. 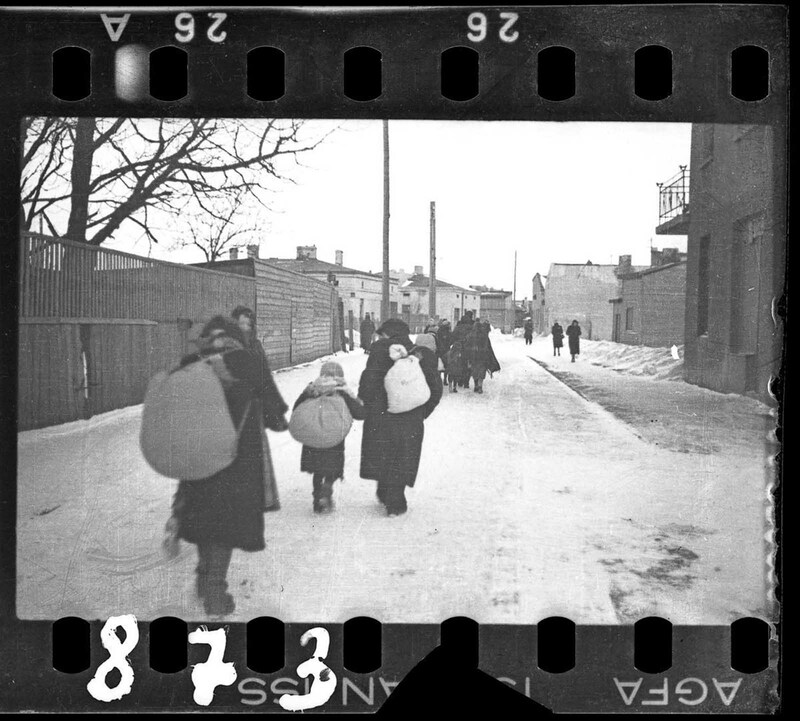 A boy walks among a crowd of people being deported in winter. 1944. 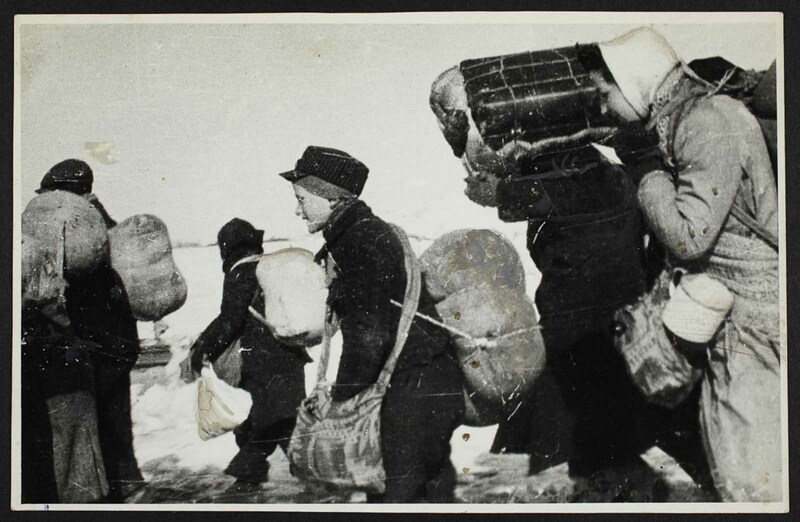 A mass deportation of ghetto residents. 1944. 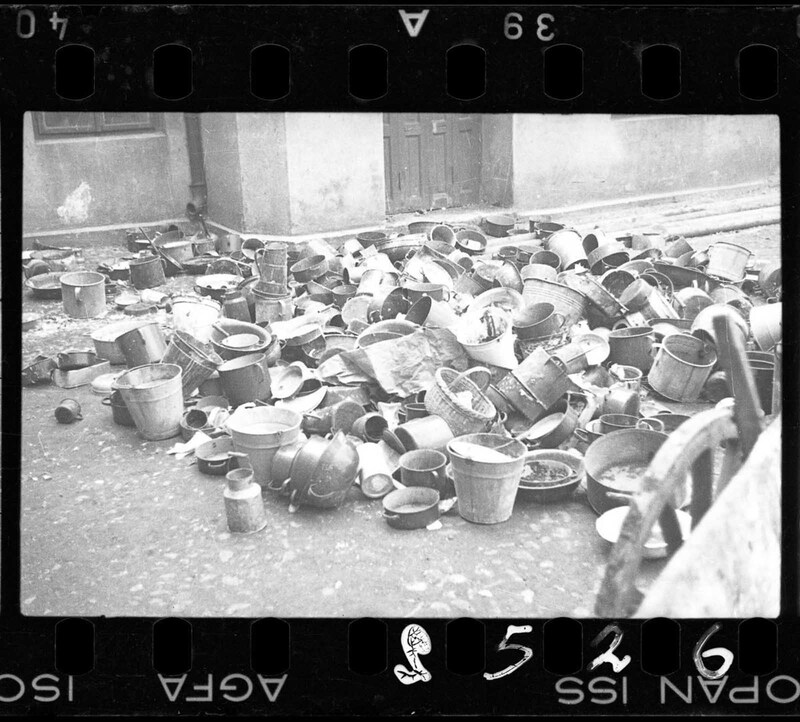 Food pails and dishes left behind by ghetto residents who had been deported to death camps. 1944.